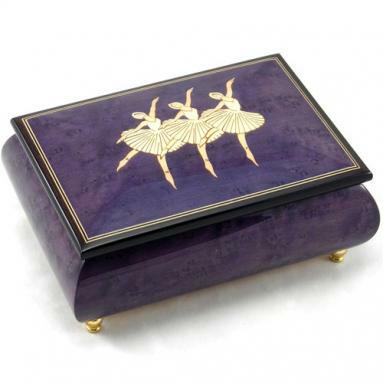 This is a considerably large music box which can hold a substantial piece of jewelry. The plum blue color is hand painted to a gloss finish. 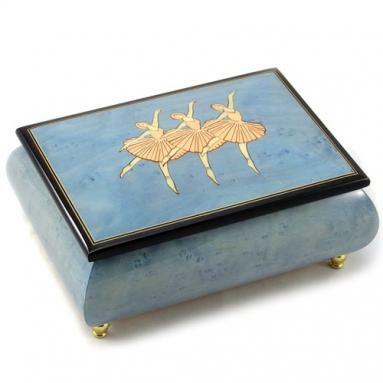 The three white ballerina figures which are inlaid on the lid of this music box stand out in the blue background. 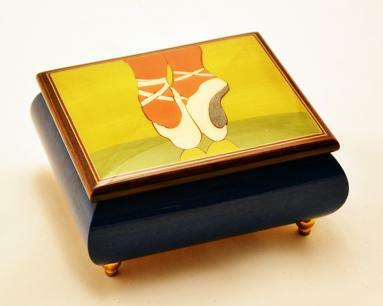 The jewelry compartment inside the music box is lined with fine velvet which provides a soft bed for the articles placed in it. 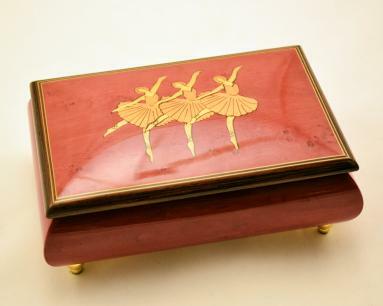 This Sorrento music box sits on four finely shaped golden legs. Your girl will love it as a present.